My new juicer arrived today! Woot! 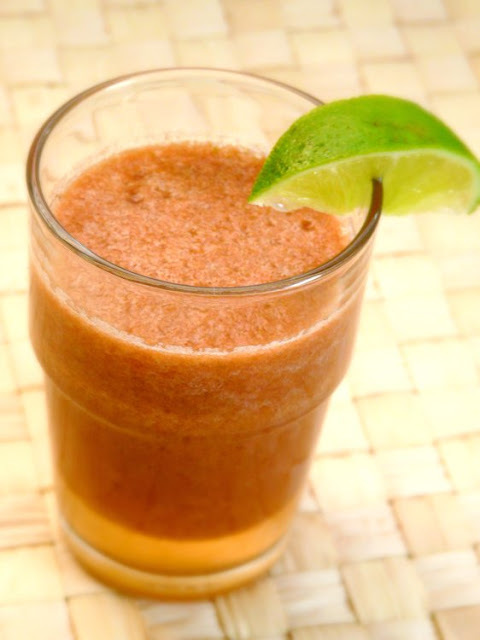 The kids and I had agreed to try eating healthier this year so I thought, what better way to do it than to try consuming more fruits and vegetables including fresh juices. I spent the remnants of an Amazon gift card that I received for Christmas (thanks to my generous brother) and bought a juice extractor. 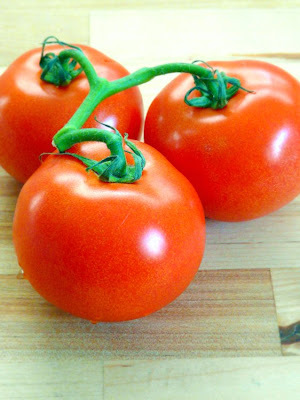 Gorgeous tomatoes on the vine were on sale at the grocery store this week so for my first homemade juice, I decided on a simple but zesty veggie concoction. I added a small bunch of arugula and a dollop of Sriracha sauce at the end which gave it a peppery zing. Finally, I finished it off with a dash of pepper and a twist of lime and I had a nice and healthy mid-afternoon "cocktail". Makes a cup and a half. 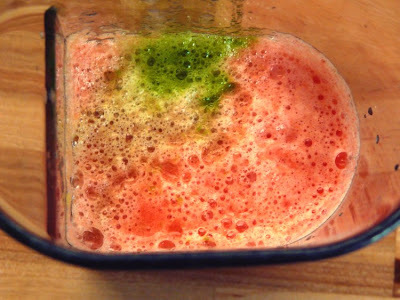 Add the tomatoes, celery and arugula to your juicer. Stir in the Sriracha or Tabasco sauce. 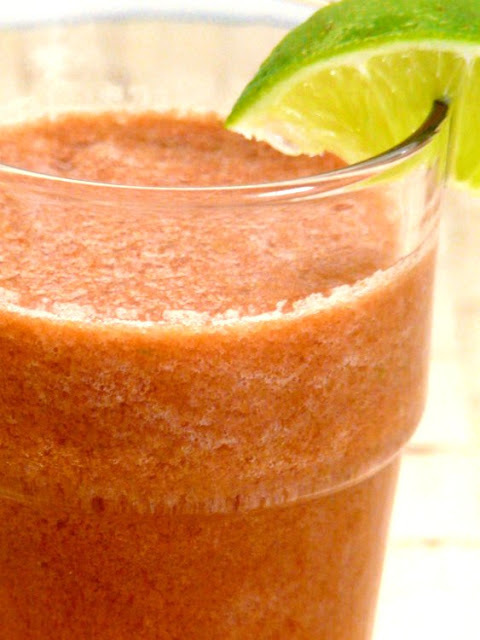 Pour into a glass then top with pepper and garnish with the wedge of lime. Squeeze the lime into the juice before drinking. Serve at room temperature or chilled. 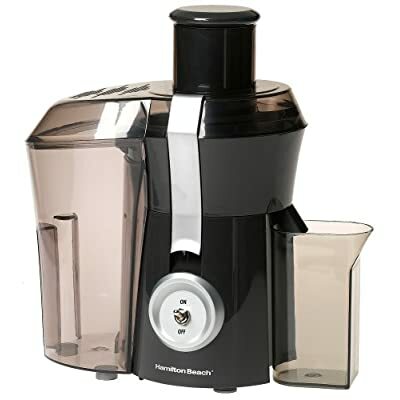 This is the Hamilton Beach Big Mouth Pro juicer which I bought from Amazon.